you need to speak with a professional who can protect your future and fight for you. If you have been injured in an accident due to no fault of your own, you could be entitled to receive financial compensation for your losses. 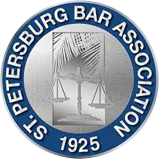 Speaking with an experienced St. Petersburg personal injury lawyer can only help strengthen your case as you demand justice from any liable parties. At The Law Offices of John R. Mathias, P.A., I have been serving the rights of clients and their families since 1988. I have been committed to providing relentless legal advocacy and client-focused services throughout the entirety of my legal career. As a testament to my legal abilities, I have earned the prestigious AV® rating by Martindale-Hubbell® and Board Certification status as a legal specialist in the area of Civil Trial Law. Despite the modern breakthroughs made in communication, the number one concern I have heard from potential clients is- "Can I talk to my lawyer?" or “I called another law firm, but never spoke to a lawyer.” I have intentionally set up my practice so that my clients are only a phone call away from speaking directly with me. Providing personal, one-on-one attention is not only my promise to my clients, but it is what separates my firm from the rest. My experience enables me to give prompt responses and answers to any of your questions. I have been practicing law for more than 20 years; exclusively in the area of personal injury law. If I am in court, out of the office, or with another client, I will return your call immediately and always by the end of the day or evening. If you need me to visit your home, or hospital, then I can accommodate your needs. Most problems can be solved and your claim can be resolved quickly. It is my goal to quickly get you the justice you are entitled to receive. I have a reputation for being fair, straight forward, and honest. If your problem cannot be resolved to your expectations, I will be the first one to tell you. I can help you get the insurance company to fix your car, get you into a rental car, help you find a qualified physician, help sort through all the bills you are receiving, and present your claim to the at-fault party to resolve it to your satisfaction. I have 10 years of experience as a former insurance company lawyer and have successfully represented some of the nation’s leading insurance companies. However for the last 15 years, I have represented only those persons injured by those insurance companies' insureds. When someone else’s negligence, carelessness, or recklessness causes serious injury, you are deserving of nothing but the full justice you deserve. With the experience of a former insurance company lawyer on your side, you can gain insight into how the opposing side will handle your injury case. I can use my knowledge to the advantage of my clients and help maximize their claim. Unless an attorney has been "Board Certified" by the Florida Bar in the area of Civil Trial Law, he or she cannot hold themselves out as an expert or specialist in this area. Fewer than 2% of all Florida Lawyers are Board Certified in the area of Civil Trial Law. I have been certified as an Expert in Civil Trial Law by the Florida Bar since 2001. I bring years of former insurance defense experience, extensive legal training, and expert qualifications to the table, making me a unique and advantageous choice for my clients. Contact The Law Offices of John R. Mathias, P.A.